Grease is my attempt to numb the pain in my ego. I really question the direction my life is going sometimes. I had bad thoughts rampage unsupervised through my brain today. Thoughts that had me researching "Bipolar" when I got home. "As mania becomes more severe, individuals begin to behave erratically and impulsively, often making poor decisions due to unrealistic ideas about the future, and may have great difficulty with sleep. At the most severe level, individuals can experience very distorted beliefs about the world known as psychosis." These aren't related pictures but I only have energy for one post. 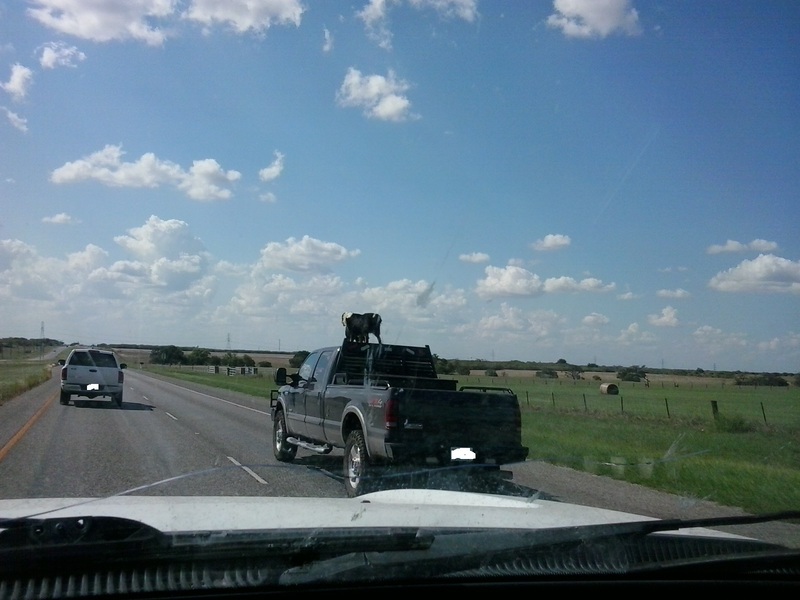 Not only one dog balancing on top of a truck going about 75 mph down the road...two dogs. Look close.